Football fans planning to head to France for the 2016 European Championships are being urged to keep up to date with travel advice amid heightened security concerns. An 11-point guide issued by the Foreign and Commonwealth Office (FCO) offers practical tips for a smooth trip, such as planning ahead with accommodation, buying tickets from accredited outlets and taking out travel insurance. But it also encourages travellers to heed the foreign travel advice for France, which sets out the increased security measures prompted by the tragedy in Paris last month. 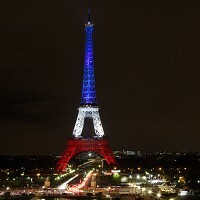 France declared a three-month state of emergency after a series of terrorist attacks in the capital killed 130 people. Three home nations - England, Wales and Northern Ireland - will be taking part in the football fest next summer. With so much British interest in the finals, foreign minister James Duddridge expects an influx of fans to make the journey across the Channel. He says it is never too early for fans to begin their preparations, which is why the FCO is already encouraging them to do their research and keep up to date with the latest travel advice. Around 17 million British nationals visit France every year, and most trips are trouble-free, according to the FCO, but its guide does warn that France is still experiencing a high level of threat from terrorism. It said: "Due to ongoing threats to France by Islamist terrorist groups, and recent French military intervention against Daesh (formerly referred to as Isil), the French government has warned the public to be especially vigilant and has reinforced its security measures." The guidance urges travellers to be vigilant in public places, follow the advice of the local authorities and subscribe to email alerts for updates to FCO travel advice. There is currently a ban on public gatherings, flying drones and the use of fireworks in Paris and its surrounding regions. The guide also details issues surrounding the large numbers of illegal migrants in Calais and industrial action by farmers.